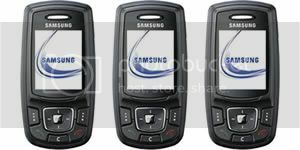 The Samsung SGH-E376 slider phone features a 1.3 mega pixel camera, 40MB of internal memory plus Bluetooth and USB connectivity. The E376 from Samsung which also features an MP3 Player and 1.66″ 65K colour TFT display, measures around 86×43.1×20.4mm and weighs just 85 grams. Currently there’s no information concerning availability or pricing.